Again with the F-15. Do you think that that is a secret? Yes I’ve heard several pilots state that, and am well aware of what speeds it can reach in various configurations. What I am puzzled about is your attitude. Really don’t care if I hurt your feelings because you’ve been posting here longer. There are statements supported by fact, then there was your opinion that wasn’t. Deal with it. Unless you have some documentation to refute the information posted I see no reason for you to turn sour. It’s a forum , people are going to challenge you if you post an opinion that contradicts available information. fbw wrote: Again with the F-15. Do you think that that is a secret? Yes I’ve heard several pilots state that, and am well aware of what speeds it can reach in various configurations. Spare me your chauvinism. You discount the doc from le bourget, the pilot’s, the official statements inn Dassault’s own magazine. Please. I’ve no reason to pump the performance of the Rafale. I just find it disingenuous to dismiss official (and unofficial) statements because you find it inconvenient to your “opinion”. It’s a news report with a journalist on a backseat ride in a Rafale. Good luck, it’s in French. P.S. the Rafale is FCS limited to 750 knots/Mach 1.8. Similar to the F-35 KCAS/Mach limit. Does not mean it’s thrust/drag limited to Mach 1.8. So, for sake of argument load up your Rafale with three external fuel tanks. Then take off and climb to your top speed of Mach 1.7. Guess what happens a hundred miles out you exhaust all of your fuel! Hell, you can't even make it back to base! I guess you can find a "tanker" hopefully??? First off, I’m not sure why you keep bringing up the F-15C and Mach 2.5, maybe you should have checked the flight manual. Second, I don’t have to “explain” anything to you. You’ve doubted that the Rafale can super cruise despite official furofighterstatements otherwise and that it cannot reach Mach 1.7 with 3 eft. The news story above states otherwise, and it’s plausible. If the F-16 can reach Mach 1.3 with a DI of 150, it isn’t that surprising that the Rafale could reach Mach 1.7 in that configuration. Obviously, the range would be severely impacted, but that’s not the question at hand is it? Why don’t you explain to all us members here why the Rafale cannot super cruise despite dassault and pilot’s stating it can and demonstrate why it can’t rrach Mach 1.7 “dirty” when it seems completely reasonable when you compare F-16 block 50. Other than concorde, the f-22 has claimed a supersonic 'cruise' speed. There is a list of planes that can go supersonic on dry, as a by product rather than by design. I think the rafale, gripen, eurofighter f-15, f-16 and f-18, in low drag. It was all back 10-15 years ago. On a few forums, the clever guys were on strategypage at the time, when the f-22 claimed operational significance and efficient sustained cruise flight on M1.5+ dry. There isn't much argument about the 2007 fox 3 pilot saying M1+ with tank. The recent M1.4 with tank is the question and a head scratch. Perhaps a misspoke and joined 1.4 clean and M1+ dirty to M1.4 dirty? That is even more than the eurofighter is claiming and a big ask for us to believe. I would have the eurofighter the top of this list. When the rafale E-M, drag and acceleration charts are on the net, it will help. optimist wrote: Other than concorde, the f-22 has claimed a supersonic 'cruise' speed. There is a list of planes that can go supersonic on dry, as a by product rather than by design. I think the rafale, gripen, eurofighter f-15, f-16 and f-18, in low drag. It was all back 10-15 years ago. On a few forums, the clever guys were on strategypage at the time, when the f-22 claimed operational significance and efficient sustained cruise flight on M1.5+ dry. You can always say what you want, the facts are there. 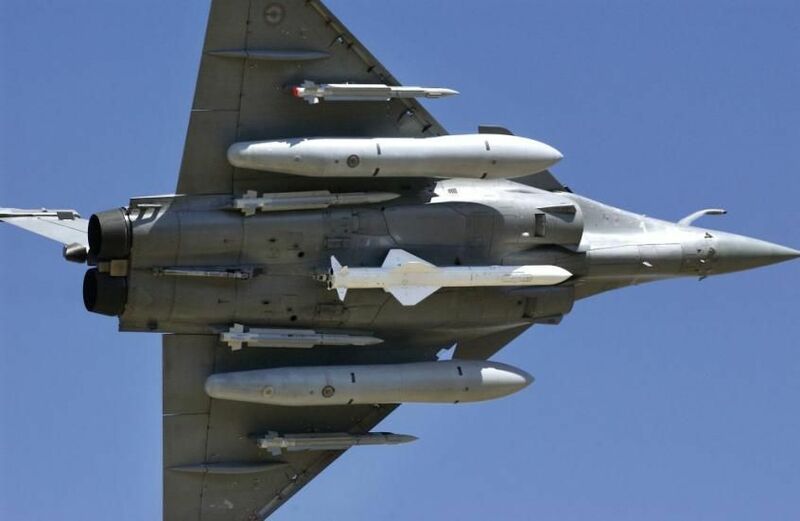 The Rafale is the first aircraft to have data fusion, nuclear capability, be polivalent, unstuck from an aircraft carrier, have super cruise, have first-rate ACMs, L16, low RCS, AESA, conbined, so criticized it's easy, but before looking at the French sites that they know the real capabilities of the Rafale, Google is your friend.And I'm not even talking about Rafale F4 which will still be a good one. The Rafale is precursor in multiple tasks, for example the data fusion it is provided for 30 years already and progresses constantly. I don't want to pull a grandpa fanboy on you, but I do go back a ways with rafale. Not from the 80's and after the first dozen was put in a shed. I was there when the second batch were cooking computer/printer chips. The current crop of fanboys are but a shadow of those that have gone before you. The fanboys like bluewings, toan et al. Strategypage etc. France was saved by a few sales and it meets the needs of France in its colonies, but it isn't going to nuke anyone. It needed money invested in it back then and it still does. The USSR fell over, there was no urgency. By the time rafale and eurofighter got sorted, it had moved on to 5th gen. They had time, but no motivation to do a new clean sheet design. What would have been best is if France went ahead with its idea to put hornets on the carrier and france went in with the euro consortium and what it would have finished up being. It would have created a stable development base, instead of what happened. Fast jet developments are looking shaky in the EU now. France has too much national pride to join a team of EU nations, and arguably different requirements. The UK still doesn't have a carrier with cats/traps, and France does. I'm not clear on what they were shooting for in the air to air realm, likely besting the Mig-29 and SU-27, just as our ATF program and Typhoon did. The great news is, all 3 countries have succeeded in that respect. The French go it alone not just in airframes, but avionics and weapons too. The Rafale really shined over Libya, which Typhoon didn't. Prosecuting ground targets just wasn't its foray - I'd argue it still isn't. With respect to Rafale's capability vs. the F-35, I think we can agree its no contest. The real question is whether or not it can act as an F-35 stand in, at least with countries that can't get the F-35 and need to confront the latest threats. India being the timely example..
First, Rafale has to consistently beat late model PAK F-16's, something their much vaunted SU-30MKI has yet to demonstrate. A little further out (but not much), it'll have to deal with the J-20, and quite possibly the J-31. That's quite the challenge, but of all the 4++ gens up to the task, it' has to be in the top 3. I do NOT think up-rated SU-30MKI's or even Su-35's are going to cut it. If Rafale can over-come the J-20, there will be plenty of foreign orders in its future. I would expect Arab countries to be the next in line, as they won't be able to get the F-35 either..
Really I do not regret that France is done alone.The Rafale is obviously the best European platform.And yes if France does not stay with others, it is that the capabilities required for France in a new platform was not reached with the Typhoon, that's why the Rafale was a priority compared to a European platform. optimist wrote: I don't want to pull a grandpa fanboy on you, but I do go back a ways with rafale. Not from the 80's and after the first dozen was put in a shed. I was there when the second batch were cooking computer/printer chips. The current crop of fanboys are but a shadow of those that have gone before you. The fanboys like bluewings, toan et al. Strategypage etc. France was saved by a few sales and it meets the needs of France in its colonies, but it isn't going to nuke anyone. It needed money invested in it back then and it still does. The USSR fell over, there was no urgency. By the time rafale and eurofighter got sorted, it had moved on to 5th gen. They had time, but no motivation to do a new clean sheet design. wil59 wrote: Really I do not regret that France is done alone.The Rafale is obviously the best European platform.And yes if France does not stay with others, it is that the capabilities required for France in a new platform was not reached with the Typhoon, that's why the Rafale was a priority compared to a European platform. LOL we didn't expect you to regret it. If, that wasn't bad enough the US didn't make that mistake. They took a full generational jump with the F-22 and F-35. This with their large internal market. Means they could be produced in volume. Which, would keep their price very competitive. f4u7_corsair wrote: There are several docs and several pilots (including Até who is not serving anymore) accrediting this M1.4 SC capability. I know that there is a certain primary skepticism about anything non-LM here, but come on. I don't doubt 1.4M SC. I doubt some of the loudouts stated to be used in said SC. Four MICA? Sure. Four MICA and a CL tank, ehhh... Six MICA? ehhhh... 1.3M with six MICA and a CL tank? That is sounding like too much. And for the record I get on people who inflate LM planes too. When a poster says the F-35C hit 1.2+M with the six GBU-31s, I corrected them that it was only credited with "supersonic", 1.0+M. Resuming, I fully agree with everything you said above sprstdlyscottsmn and that's pretty much my general opinion as well on the subject. You care to compare the performance with 6 2,000 lbs PGM's and 4 AAM between the Rafale and F-35A??? Well to be honest I'm on the fence on this subject about the Rafale's SuperCruise capability/speed (and I think that can be seen/read on my previous posts). On the other hand I also agree with arguments such as the ones that you and optimist for example have been posting. - In Clean configuration and Accelerating with full AB up to Mach 1.4 and then throttle back to MIL power. I don't know what's the drag impact on speed/performance of 4 MICAs (2 fuselage mounted plus 2 wingtip mounted) but looking at for example the Super Hornet's E-M charts we can see that a similar configuration of 2 fuselage mounted AMRAAMs plus 2 wingtip mounted Sidewinders has a considerable impact on performance where the Super Hornet can attain a speed of Mach 1.57 (with full AB of course) while clean it can attain Mach 1.8 (with full AB of course). So my conclusion is that there's a considerable impact on performance when aircraft are equipped with such even if apparently low drag configuration/stores. Hence why, my opinion/assessment above. So what I did post in my last post was that I generally with sprstdlyscottsmn general assessment (although I could believe in somehow different details). No amount of streamlining will substitute for internal carriage. The only reason wingtip AAMs sometimes give better drag results is not related to streamlining. Great, because some eyeball-wind-tunnell opinion is just what we needed. Ricnunes doesn't know how the flow interacts with the fuselage, how could he know the significance of the fuselage mounted missiles drag??? Did he have access to the Rafale TOs? Ricnunes takes the example of the Super Hornet, an airframe that he has been lengthly explained to that it is quite a draggy airframe, particularly in the supersonic regime. There is no comparison with Rafale on that matter. Furthermore, Ricnunes """assessment""" of Rafale going to M1.4 w/AB then keeping there is not supercruise. Dassault wouldn't be advertising about supercruise if it could just do that. Dassault is known to particularly refine its airframes to eliminate drag (why, do you ask? Because French engines are notorious for not being the most powerful out there). Typhoon can supercruise (i.e. going supersonic WITHOUT AB) a bit faster than Rafale. There are numerous statements, testimonies, documents mentioning a supercruise ability for Rafale. It is not known exactly to what extent it can, but the capability is there (the 1.4 figure would, in my opinion and with what I heard, apply to 1 supersonic EFT + 2-4 AAM). I'm striked yet unsurprised by the desperate attempts of some to discard this (just like the M1.7 w/ AB performance w/ 3 supersonic EFT). Granted there is no available Rafale performance manual out. And going by the F-16CJ -1. A load-out of 4 aams only gives it a DI of about 22. The 2 tip missiles are zero, and the 2 aim-9's + pylons are 22. If you look at the Mil and Max AB acceleration charts, and even the turn charts, a (and using some interpolation) DI of 22 is not going to impact a Block 50 F-16 all that much. I would expect the same for Rafale or Eurofighter Typhoon. In fact, Rafale and EF may even have a smaller DI because of the fuselage mounted aams. Even when the Block 50CJ (mid 1990's manual- years before HAF abridgment) use to mount wing tip aim-9's; DI on tips was still counted as zero. One must also remember even the F-35 has to carry its Aim-9X's on external pylons. Anybody care to guess DI on those (since we don't have a manual)? Zero? 10-25?